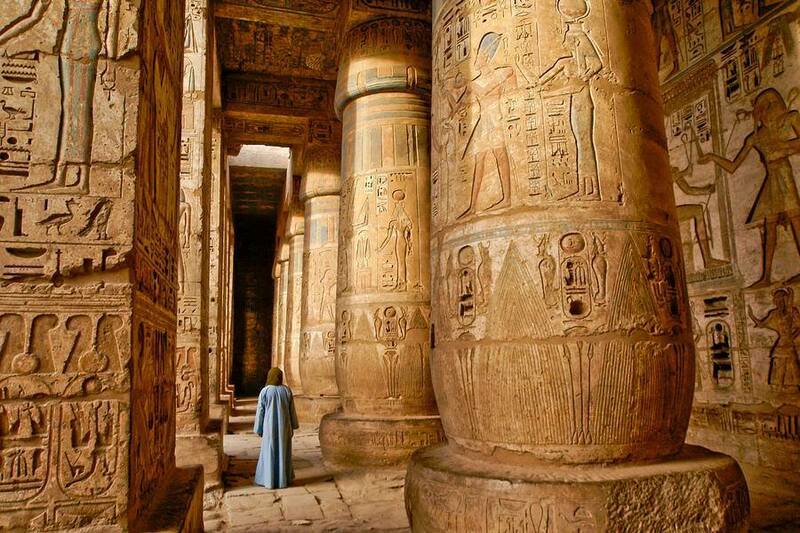 Cairo, Luxor, Aswan & Hurghada Tour Package with 9 days and 8 nights • The Egyptian Museum. • Pyramids of Giza & Sphinx. • Dier El-Bahari & Valley of Kings. • Luxor Temple & Karnak. • Horus Temple in Edfu. • Sobek & Horus in Kom Ombo. • High Dam. • Philae Temple & Unfinished Obelisk. • Hurghada & the Red Sea. Overnight at Cairo and start your Cairo, Luxor, Aswan & Hurghada Tour Package. • Then visit Great Pyramid – Cheops, Chephren & Mykerions. Where you will see the only standing wonder for the ancient world. • Then proceed to Sphinx the mysterious monument which have human face and lion’s body. Breakfast on board. Visit The Temple of Horus in Edfu. Cross the lock. Sail to Luxor. =Afternoon Tea. Dinner on board & Galabya party. Breakfast on board. Disembarkation . Departure by A/C car to Hurghada. Arrival, meet and assist by our representative. Transfer to your hotel. • 2 Nights hotel accommodation in Hurghada on HB basis. • 1 Night sleeper train on HB basis. • papyrus gallery and perfume gallery . • Transfer by A/C Private Car: Luxor / Hurghada. • Transfer by flight: Hurghada / Cairo. Riding camel or horse around the Giza desert pyramids.